The book of Exodus tells us that four hundred years after the time of Joseph the Hebrew people had multiplied greatly, filling the land of Egypt. The Egyptians resented all the Hebrews. 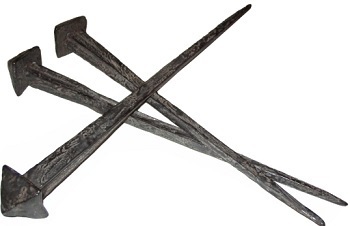 They made them slaves and forced them to do back-breaking work at the hands of brutal masters. Pharaoh even tried to kill all the Hebrew baby boys. God’s people cried out for help and He answered. God appeared to Moses in the form of a burning bush. God told Moses that he was the one chosen to bring the Hebrews out of slavery. Moses, with the help of his brother Aaron, obeyed God. They went to Pharaoh and demanded, “Let my people go.” Moses warned Pharaoh that if he didn’t obey, God would allow terrible things to happen in Egypt. Pharaoh refused. God sent nine plagues on Egypt: blood, frogs, gnats, flies, cattle disease, boils, hail, locusts, and darkness. Even after these punishments, Pharaoh’s heart remained hard and he kept the Hebrews in slavery. God sent Pharaoh a last and final message. On the night of the tenth plague an Angel of Death appeared in Egypt and killed the oldest son in every Egyptian household, even Pharaoh’s. Only the Hebrews were spared. God had instructed His people to sacrifice a lamb and smear the blood over their doors. When the Angel saw the blood it would “pass over” the house and spare everyone inside. The lamb’s blood was God’s great sign! After this terrible punishment Pharaoh finally agreed and told Moses, “Go!” As Moses led the Hebrews out of Egypt, Pharaoh sent his army to try and overtake them. God performed another miracle through Moses. Moses lifted his arms and parted the Red Sea so the Hebrews could walk on dry land to the other side. As the Egyptians tried to follow the Hebrews, God brought the waters back down and drowned the Egyptian army. Since the Exodus from Egypt, Jews (and many Christians) all over the world have a special celebration every year to remember this great miracle. They retell the story of how God brought the Hebrews out of slavery, protected them on the night of the tenth plague, and miraculously led them through the Red Sea. Passover is the story of God’s deliverance! The first night during the holiday of Passover families and friends get together for a seder, a special holiday meal. One of the main purposes of the seder is to tell the story of Passover and give thanks to God for bringing deliverance. During the seder (the Hebrew word for “order”) someone reads from a book called the Haggadah. The Haggadah, which means “to tell,” gives the story of the Exodus from Egypt and explains the different traditions of the seder meal. There is a certain order that a seder meal traditionally follows and the Haggadah shows what to do step by step. During the seder meal it is traditional to eat certain foods that symbolize slavery and freedom. Bitter herbs represent the bitterness of slavery. A green vegetable (usually parsley) representing rebirth is dipped into salt water which represents the tears of the slaves. An apple dish called charoset is a reminder of the sweetness of freedom. Charoset also looks like the mortar that the Hebrews used to bind the bricks during slavery. A boiled egg is eaten as a reminder of the lost temple (eggs are usually funeral foods). 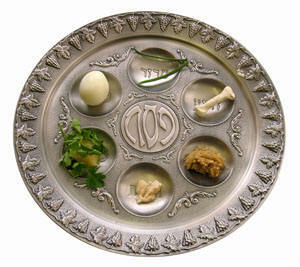 The bone of a lamb is on the table to symbolize the lamb that was sacrificed. The flat bread called matzah is what the Hebrews had to bring with them when they left Egypt. They fled their homes so quickly they did not have enough time to let their bread rise. 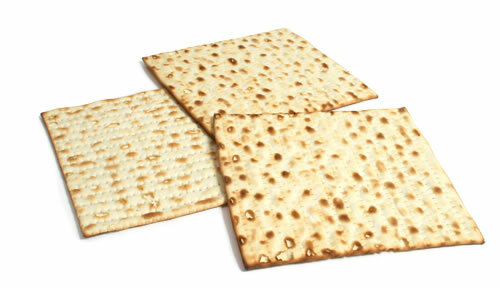 Matzah is eaten throughout the entire week of Passover instead of regular bread. Why is it that on all other nights during the year we eat either bread or matzah, but on this night we eat matzah? During the seder someone pours a cup of wine for the prophet Elijah and opens the door for him to come in, reciting several Psalms. According to Jewish tradition Elijah will appear before the Messiah. Elijah’s cup therefore represents hope in the coming Messiah. While much of the seder focuses on God’s past deliverance, Elijah’s cup is a reminder of future redemption. Plus, its really fun to pretend that Elijah came in and drank the wine when noone was looking! 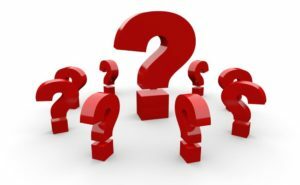 The New Testament authors Matthew, Mark, and Luke tell us that the night before Jesus was appointed to die on the cross he came to Jerusalem to have a seder meal with His twelve disciples. Jesus said, “With fervent desire I have desired to eat this Passover with you before I suffer”( Luke 22:15). Jesus commemorated the Exodus every year during Passover with his family and he was not going to miss this ceremony on the night before his crucifixion. The disciples took care of the preparations for the meal and found an upstairs room where they could all eat together in peace. 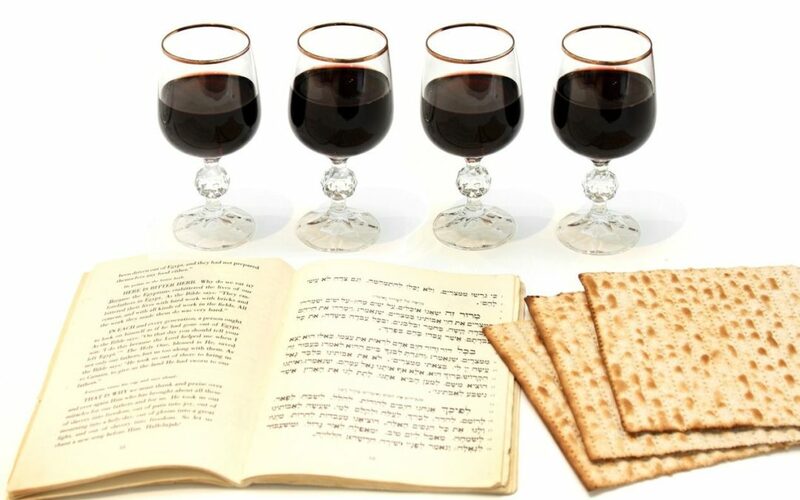 That night, the disciples drank the Passover wine and ate the matzah, just like any traditional Passover meal. But it was at this seder that Jesus explained to them what was about to happen. He told them that in future Passover seders they were to drink the wine and eat the unleavened bread in honor of Him. He explained to them many things that were going to happen in the coming days so they would be ready and understand God’s perfect plan. The next day Jesus became the “Passover Lamb.” Just as the blood of the lamb saved the Jews from the angel of death in Egypt, the blood that was shed by Jesus saves us all from eternal death and gives life to all who believe! On the first Passover God brought the Hebrew people out of slavery in Egypt and delivered them into the Promised Land. On the year of the Christ’s Passover, God delivered believers out of the slavery of sin and into eternal life. As Christians, we can’t think about the story of Jesus without running into this very holy holiday!